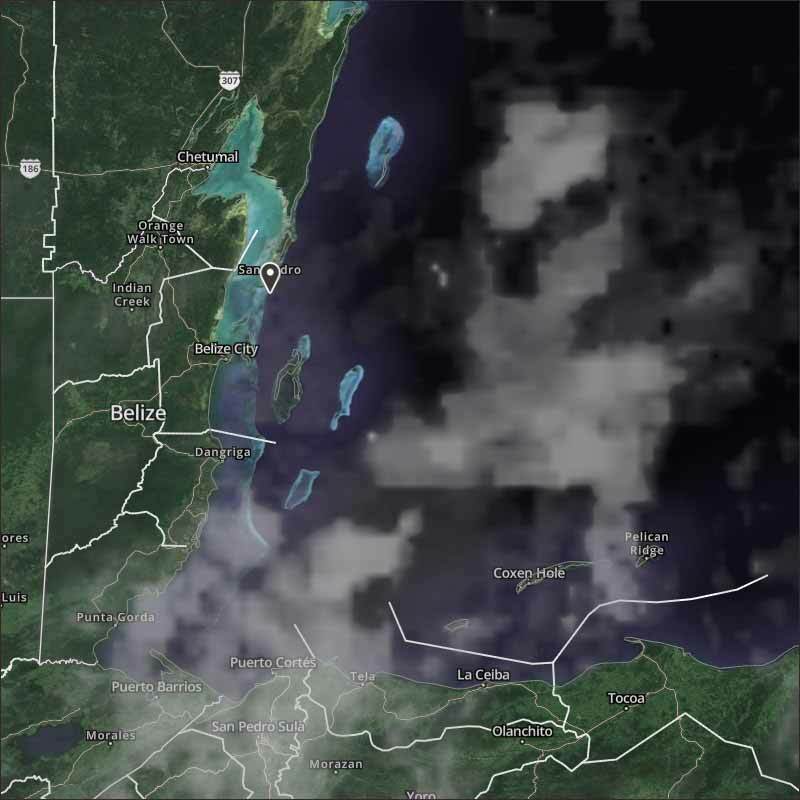 Belize NMS: Mainly fair, cool and dry conditions will prevail during the next couple of days. 24-hour forecast: Mostly sunny today and clear tonight. Little or no rainfall is expected. General Outlook: For Friday and Friday night is for similar weather conditions to prevail. Daily Tropical Weather Outlook: Tropical cyclone formation is not expected in the North Atlantic, Caribbean Sea or Gulf of Mexico during the next 48 hours. Today W-NW 10-20 kts Choppy 3-4 ft LITTLE OR NO RAINFALL. Tonight W-NW 10-20 kts Choppy 3-4 ft MAINLY FAIR, COOL AND DRY. Tomorrow W-NW 10-20 kts Moderate 3-5 ft LITTLE OR NO RAINFALL. Outlook N-NW 5-15 kts Choppy 3-4 ft MAINLY FAIR, COOL AND DRY. On Ambergris Caye this morning the wind is from the W-NW and puts the Barrier Reef in the lee of the island. 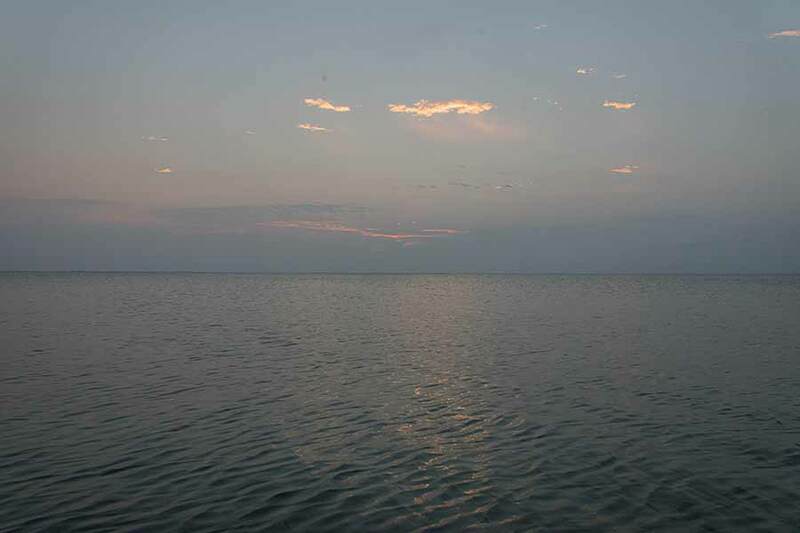 This gives us another flat calm day. We have blue sky and the expected high is 82 f.
This morning, there is a strong SW wind blowing, it is not the "Tiger" wind, but a change in the weather. 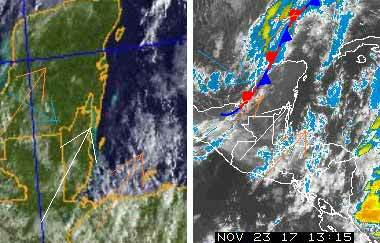 The two streams of high SW air have come together over Belize, there is still a trace of cool air from the NW The only rain is out at sea near Roatan area. Looks like today will be a mixture of sunshine and cloud, with a strong SW wind, no rain expected.